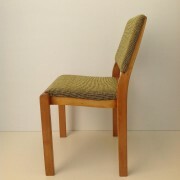 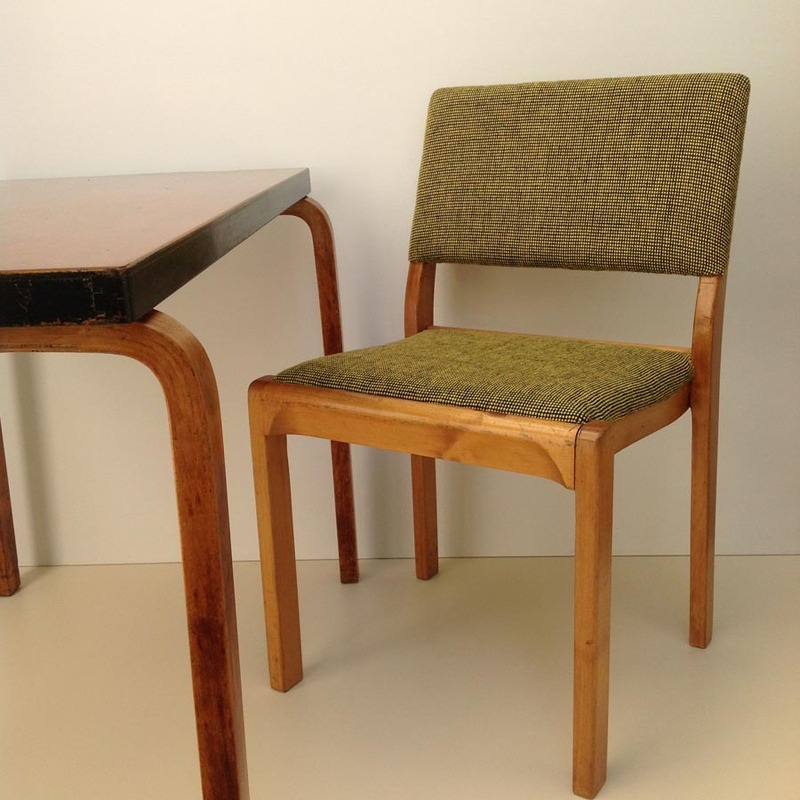 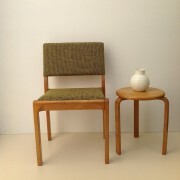 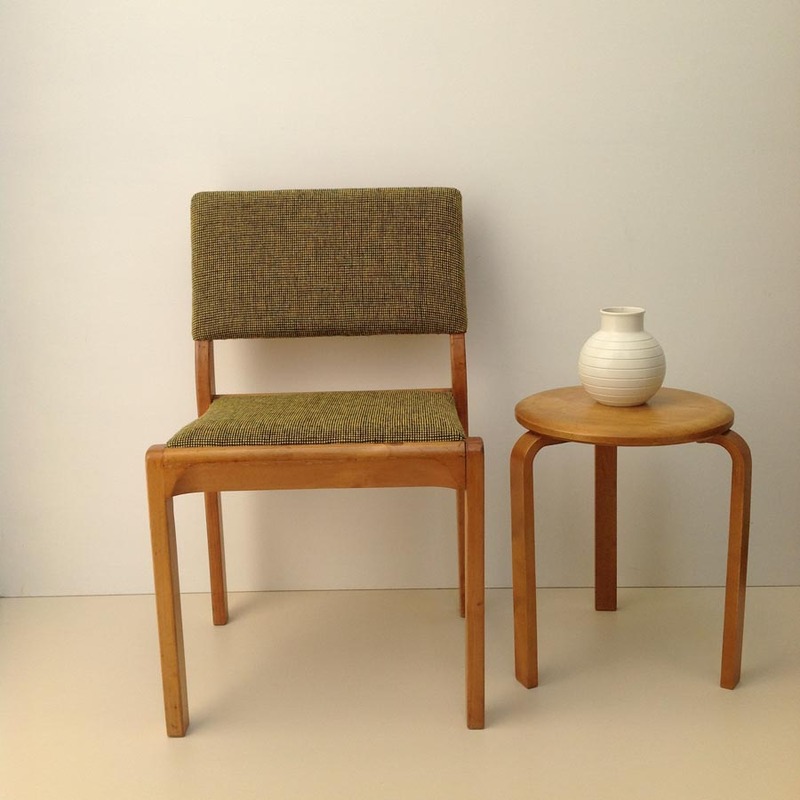 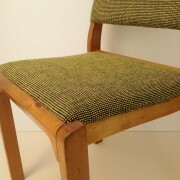 An early Finmar Aalto 611 stacking chair. 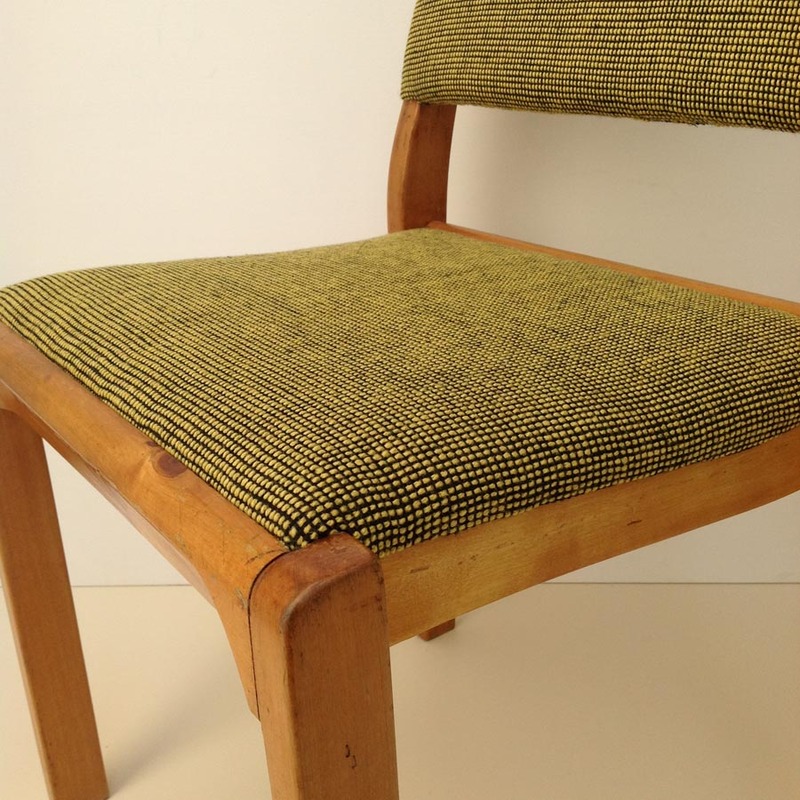 These upholstered versions are very rare early models. 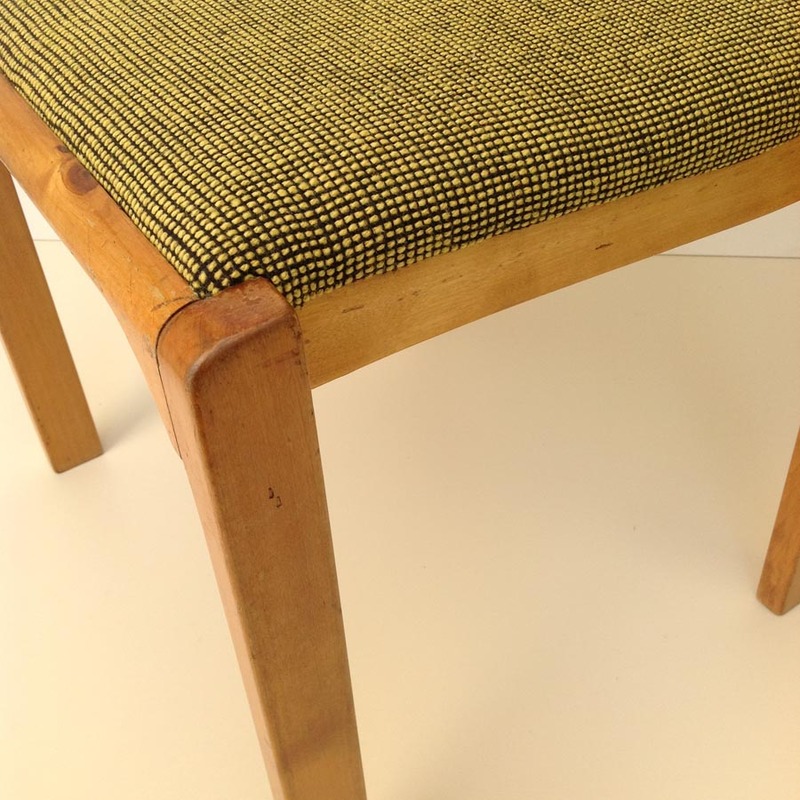 Re-upholstered in Gerd Hay-Edie’s Mourne Check Gorse textile with re-polished frame.